Friends Today Ham Janenge Delete Ho Gaye Google Chrome History Ko Recover Kaise Kare. Kya Galti Se Apke Chrome Browser History Delete Ho Gaye Hai? Kya Google Chrome Browser Update Karne Se Apke Browser History Delete Ho Gaye Hai. Kya Aap Chrome Browser History Ko Recover Karna Chahate Hai? Agar Apke Answer YES Hai. Toh Aap Sahi Jagah Par Aaye Hai. Kai Baar Browser Ki Important Search history Carelessly delete Ho Jata Hai. Or Ham Sochte Hai Ke Iska Recovery Karne Ka Koy Solution Hi Nhi Hai. Lekin Dosto Abhi Technology Ki Badhtee Zamaane Me Lagbhag Har Problems Ka Solution Hai. Actually Solution In Hindi Issi Wajahse Banaye Gaye Hai Taki Har Important Chezz Ki Solution Apko Hindi Me Mile. Dosto Google Chrome Browser Ek Bhut Hi Badhiya Internet Browser Hai. Jo Baki Other Internet Browser Se Bhut Hi Fast Hai Or Koy Bhi Site Ko Support Karleti Hai. Matlab Agar Aap Koy Govt. Ya Other Koy High-Quality Website Mobile Access Karna Chahte Hai. Toh Google Chrome Browser Hi Best Hai. Kyu Ki Chrome Woh Sabhi Feature Mobile Me Support Karwati Hai Jo Desktop Me Karta Hai. 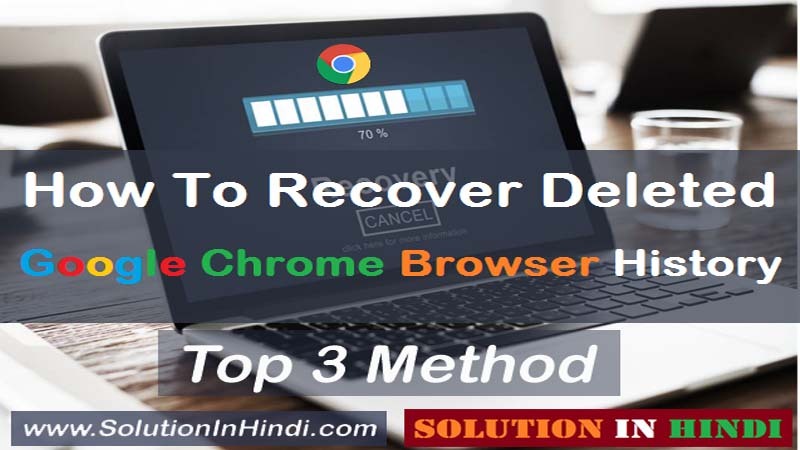 Today Main Apko 3 Method Bataunga Jiske Madad Se Badi Asani Se Deleted PC Google Chrome Browser History Ko Recover Kar Payenge. 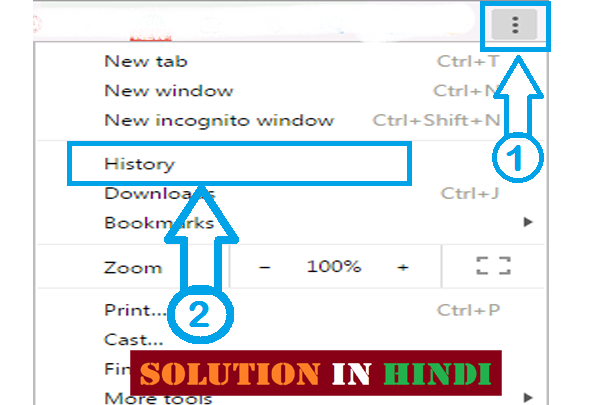 Toh Chale Jante Hai- How To Recover Deleted Google Chrome Browser History In Hindi. Deleted Google Chrome Browser History Ko Recover Kaise Kare? Friends Chrome Browser History Recover Karna Bhut Hi Easy Hai. Niche Diye Gaye 3 Method Me Se Apko Jo Sabse Simple Lage Use Method Se Chrome History Ko Recover Kare. Google Chrome: C:Users(username)AppDataLocalGoogleChromeUser DataDefaultlocal storage(or Bookmarks). Agar Apke Computer Se Backup File Ko Lost Kar Diye Hai Toh Apko Data Recovery Software Ki Help Leni Hogi. 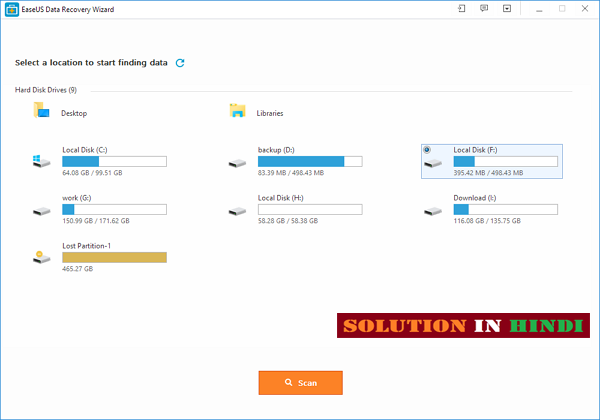 Step 1 Sabse Pehle EaseUS Data Recovery Wizard Download Kare. Step 2 Download Complete Ho Gaye Hai Toh EaseUS Data Recovery Wizard Ko Install Karke Open Kare. Step 3 Ab Chrome History File Ki Location Ko Select Kare. Ye Method Bhi Bhut Hi Simple Hai. Kisi Software Ki Jaruraat Bhi Nhi Padhegi Apko Sirf CMD Me Command Dena Hoga CMD Kya Hai Kaise Use Kare Yaha Uski Puri Jankari Hai. Or Ye Tarika Use Karne Ke Liye Internet Connection Bhi Jaruri Hai. So Apke PC Me Internet Connect Karle. Step 1 Press Windows + R, type cmd and Enter kare. Ya Phir Windows Search bar me cmd type karke open kare. 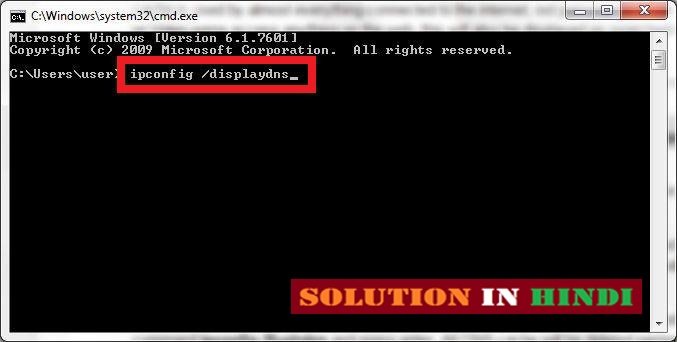 Step 2 Command Prompt Open Ho Gaye Hai Toh ipcongif /displaydns type karke, Enter kare. Done! Itna Karne Se All Deleted Google Chrome Browser History Apke Samne Displayed Hoga. and find those important history files back then. Facebook Account Deactivate Kaise Kare. Agar Apke Google Account Hai, Jab Bhi Aap Google Chrome Browser Files Ya Bookmarks Lost Kar Dete Hai. Toh Aap Google History Ke Madad Se Recover Kar Sakte Hai. Google History Apke Sabhi Browser History Bookmarks Ko Apke Google Account Me Store Rakhta Hai. Th Chale Jante Hai. Step 1 Sabse Pehle Google Chrome History Par Jaye. (Shortcut: Ctrl + h). Step 2 Ab Google Account Sign In Kare. Done! Ab Browser/Internet History Files Time/Date Ke Sath Displayed Hoga. .. Thanks for the help. Most Welcome & Keep Visiting Bro. Recover Email Id Agar Diye Hai Toh Ho Jayega..
this is a very useful article for me because I have losses my all history.